Saint-Valéry-sur-Somme is located on a promontory overlooking the Somme Bay. The old town kept part of its medieval appearance. There is a fishing port and a marina. 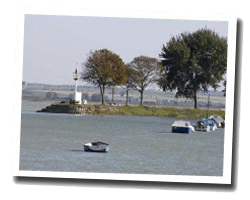 It is a quiet and unspoilt destination, perfect base for visiting the Somme Bay. 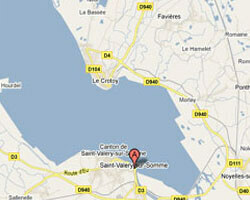 In Saint-Valéry-sur-Somme enjoy a seaview holiday rental. Offering panoramic views of the Bay of Somme from all its rooms, Violette is an independent apartment located in the centre of Saint-Valéry-sur-Somme. It is set at the foot of the bay. 3 rooms apartment 80sq. m in a character House built in 1904. open kitchen. balcony. House 90m2. Terrace with barbecue. Located in Saint-Valery-sur-Somme , apartment for 8 people, 25 Quai Blavet offers views of the sea. You can practice in the area activities such as hiking and canoeing.